Want to avoid sibling rivalry? Best way to do it is to engage kids into some super fun sibling activities. Most of activities are quick to set up. Some are just ideas of games you can purchase on Amazon and have it ready whenever your kids shout “We are bored”. My kids love playing this game. The best photo has a prize or a special dessert waiting for them. This makes the game more exciting! You can get any item from the household for tracing shapes as long as they can safe for your kids. Make sure to have a finish line. You can design your airplanes, too! One of the cutest games that your kids can play together. If your kids won’t be excited for this, I don’t know what will. Lol. This addition game suits the older kids or those who loves math. Chalkboards make your kids busy while you can do your chores at home! Your kids can practice counting in a fun way! Colorful pasta are easy to do and your kids will enjoy this game! Color Matching Game will help your kids practice remembering the different colors. An exciting game to help your kids be an expert in grammar. You can do this anywhere, anytime! Your kids will play a guessing game by taking photos and the other will guess what item and where it was taken. A drawing game that has a twist. Using multiples sheets of paper, you can draw a person in different colors of clothes, then divide it into 3. You will get funny images of how your kid’s imagination. This is my personal favorite! Sibling fights are very common, that’s why you will be grateful to have a Get Along Jar. Jenga is both for kids and parents! I sooo love to play this with my family! A deck of cards can go a long way! With lots of games you know, you can play with cards for hours! You only need toys and a tray to keep your kids busy! Sharing should be a voluntary gesture when your kids grow up. So, let them know how and when to share. Any child can be an artist by using Q-tips and Watercolor only! You can use printables or just draw them on your own. Your kids can use pens, pencils, or paint! A Classic game for any member of the family! 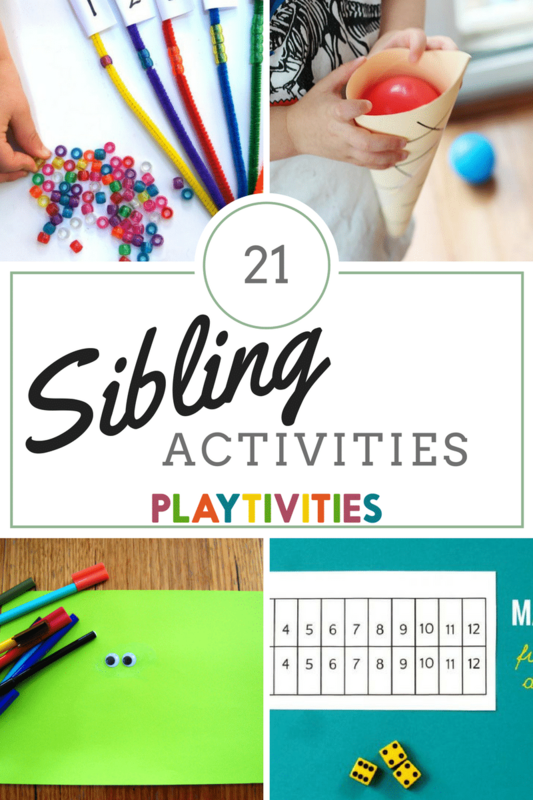 I hope this list of sibling activities will get your little ones playing. Do you have your favorite sibling game? Please share with us in the comments below! 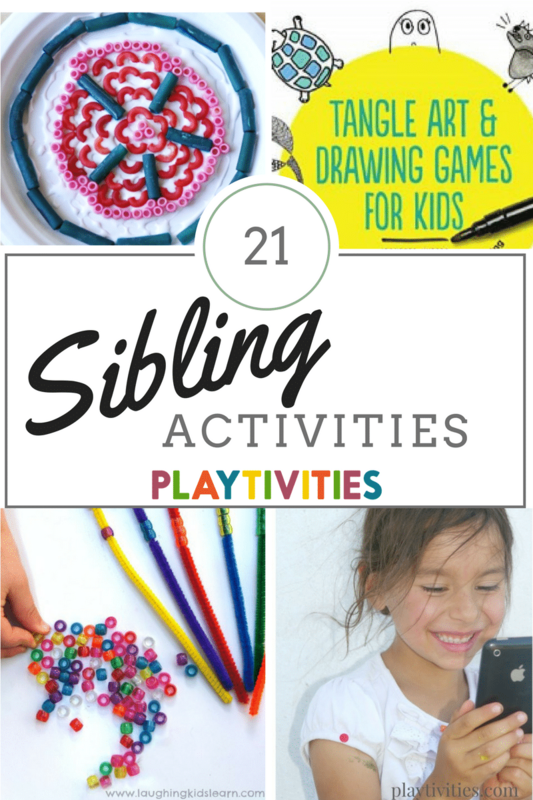 Check out our 20 Sibling Games video with more great games for kids to bond, compete and cooperate.